This event "Party Up! 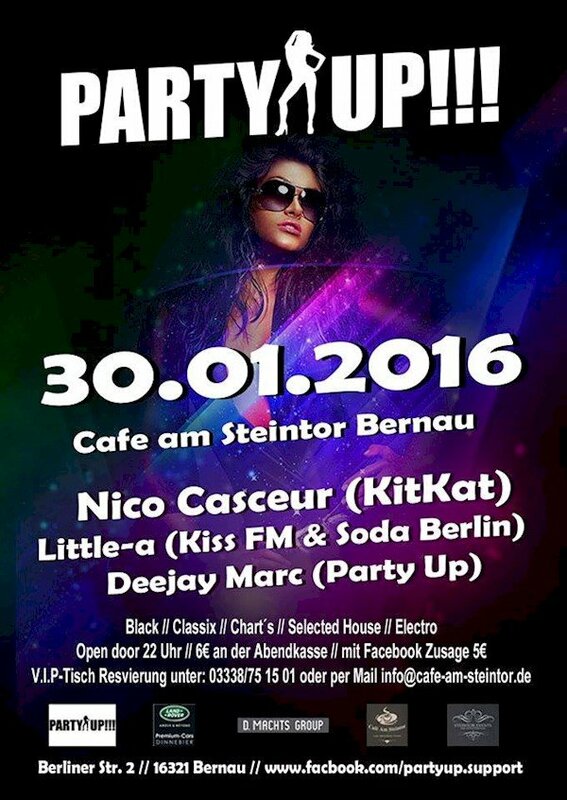 Specialguest: Nico Casceur" @ Cafe am Steintor has already ended on 01/30/2016. !!! YOUR CLUB , YOUR NIGHT , YOUR PARTY !!! !!! 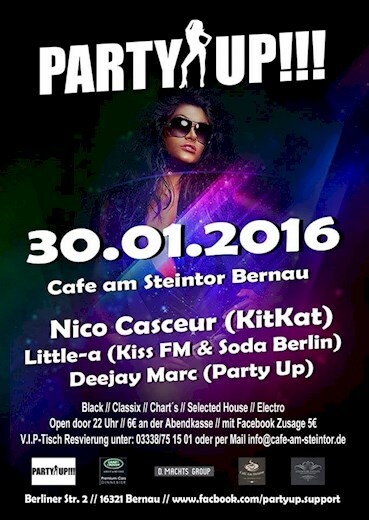 Ab Januar 2016 , jeden LETZTEN SAMSTAG im Monat im Cafe am Steintor !! !